To end the tour stop by the Centennial Hall featuring on the UNESCO World Heritage list! Take as many pictures as you want, it is worth it. This tour starts in Krakow You will be picked up by our English speaking driver from your hotel. Afterwards driver will transfer you to Wroclaw for the lunch in one of the restaurants where mostly locals eat. Then our local guide will take you for private tour around Wroclaw. After the tour you will come back to Krakow around 20:00. Prices start from 87EUR and they depend on the number of participants. We are trying to have as many travelers at one time, from different hotels in Krakow, in order to give you better price. Why I have to pay 360 euros if the price starts from 87 euros? The travel from Krakow to Wroclaw is about 3,5h. 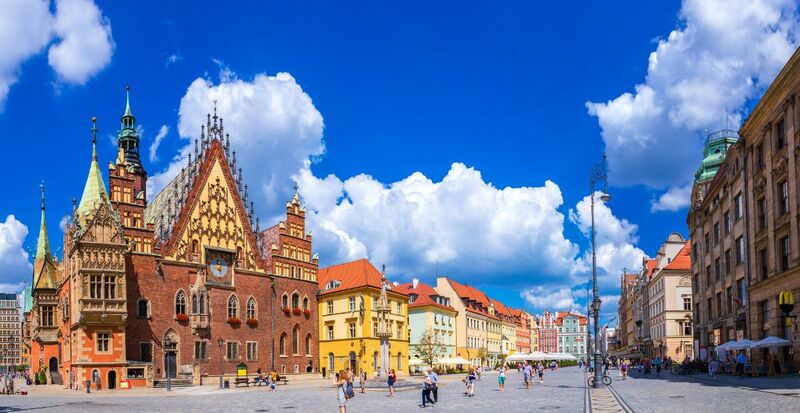 The Wroclaw tour takes 3h.